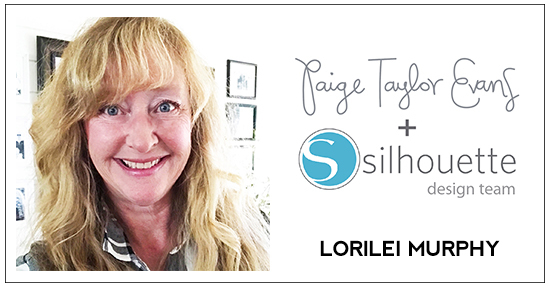 Lorilei Murphy softens up her beautiful layout with a sheet of vellum. Read on for more details and instructions! Lately I have had Oh My Heart on my mind! It is still one of my favorite collections by Paige and Pink Paislee. 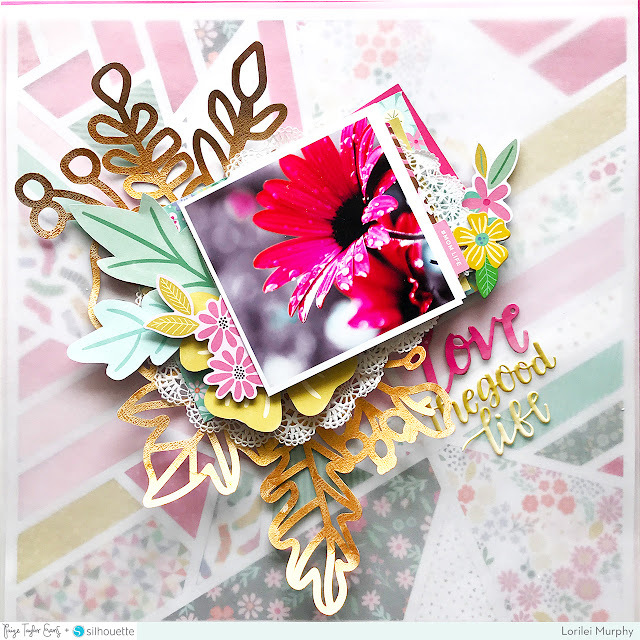 I got out my stash and set to work backing the Geometric Background cut file with all the pretty patterned papers in Oh My Heart. The Geometric Background is really lovely to back, it is all straight lines and it makes a big impact when finished! 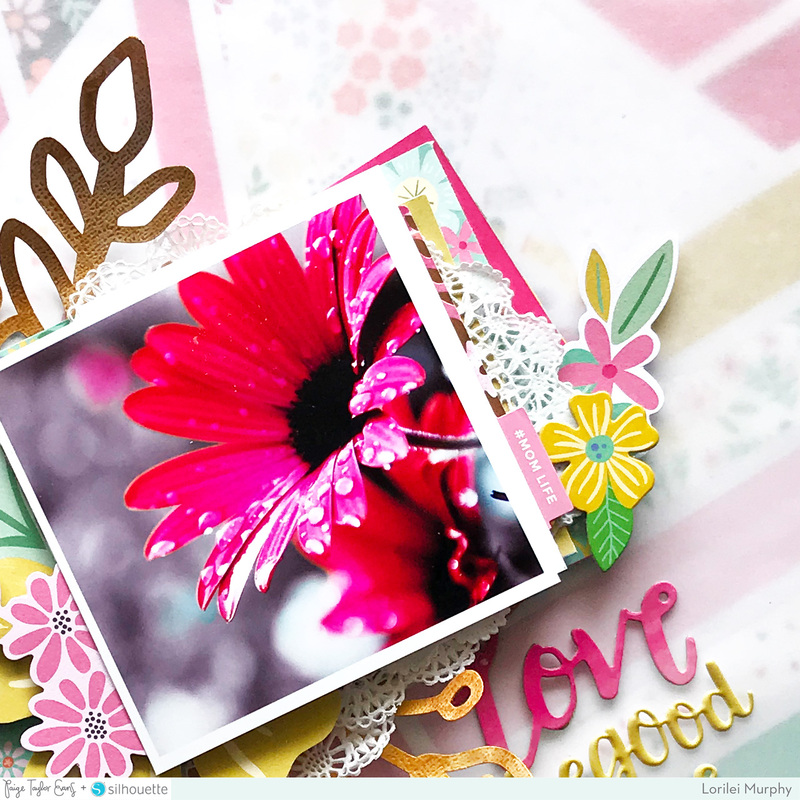 Once I started on the cluster of flowers around my photo, I realized that the flowers and cards were blending in with the background too much, so I added a simple piece of vellum to the background to soften the brightness. I had been playing around with some Vicki Boutin Gold Glaze through Paige’s Flower Bunch cut file and had the gold covered cut file left over so I added it in between the background and photo cluster. I love how bright and cheerful the layout is. 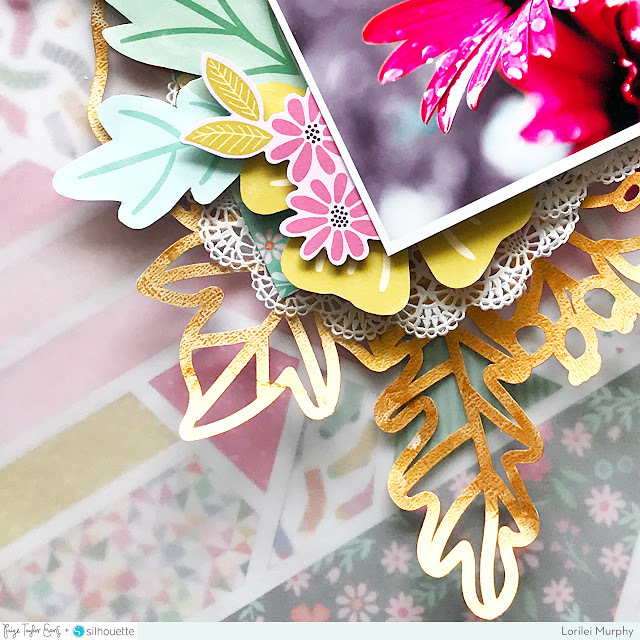 The florals in Oh My Heart make me happy every time! Wow!!! This is GORGEOUS! LOVING the colors and those amazing LAYERS!!!!!!!! !